If you live in or around the Tucson metro region or anywhere in southern Arizona, and you are facing a divorce or have some other family law issue you need to address, you can turn to the law office of Erika L. Cossitt Volpiano P.C. in Tucson for the quality, effective legal counsel and support you deserve. Certified as a family law specialist, a certified mediator, and possessing over 25 years of legal experience, attorney Erika L. Cossitt Volpiano has the extensive skills and knowledge required to help you resolve your conflicts and reach agreements as efficiently as possible with regards to child custody and support, property and debt division, alimony, paternity, and other divorce-related matters. In addition, our law firm provides prenuptial and postnuptial agreements to help you protect yourself and your assets in the event of a divorce, and we have extensive experience assisting high net worth clients with their complex property and business valuations. A highly effective mediator, Ms. Cossitt Volpiano encourages negotiation over litigation whenever possible to save time, money and stress for all involved. However, should your case need to go to court, she will be right there with you to help you protect your rights and interests while fighting to achieve the results you expect. Along with maintaining our successful legal practice, Ms. Cossitt Volpiano is very active in her legal community. She is a fellow with the American Academy of Matrimonial Lawyers, and she once served as president for the organization's Arizona chapter. This means you can expect to receive the most relevant, up-to-date advice for your legal issues, and consistent support to ensure we have done all we can to provide you with the most competent and comprehensive assistance during your difficult and uncertain time. 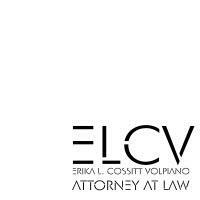 For more information, you can contact the law office of Erika L. Cossitt Volpiano P.C. to schedule a consultation.